Updated from the original version, with additional comments from Michael Hudson. "Instead of eliminating established tax havens, we have added a new one to the euro zone." TJN has no problems with Latvia joining the Euro zone per se, but it does have problems with its abusive incoming tax laws. "Holding companies -- firms that hold stock of other companies -- enjoy further benefits in Latvia. Since the beginning of 2013, their foreign profits earned via dividends and stock sales have been tax free. Transferring such profits out of country is also not taxed. Furthermore, as of 2014 Latvian holding companies will no longer have to pay taxes on interest and licensing fees they pay to foreign companies." This will allow large numbers of wealthy people and corporations to escape tax, and intensify the race to the bottom. The article cites TJN's Markus Meinzer as describing Latvia as a "Luxembourg for the poor." Worryingly, it's not just about offering tax loopholes: it's about dirty money too. Latvia doesn't have a particularly high secrecy score on our Financial Secrecy Index. But it has fairly lax standards on dirty money, and - as with Cyprus - a long history of not adhering to its own standards. (This is a common tax haven ploy: set up nice laws, get off the blacklists, then simply disregard your own laws, and watch the dirty money roll in!) The pressure of almost unlimited quantities of questionable money from the former Soviet Union - and Latvia is quite strongly Russian-speaking - will, most likely, encourage Latvia pursue an ask-no-questions, see-no-evil attitude to dirty money, as far as possible. And the fact that it's a fairly small country (population: 2 million) will practically ensure that this becomes even more of a 'captured state' whose laws are dictated by the financial sector, with little or no democratic consultation on those laws, and great damage to the rule of law in that part of the world in particular. The fact of its being an EU member will take the hardest edges off some of this, but it also gives investors an added encouragement to use Latvia because of its Euro membership. "Although not in the league with London, New York and Zurich as a criminogenic flight capital center, Latvia has carved out a substantial niche in the global money laundering system. 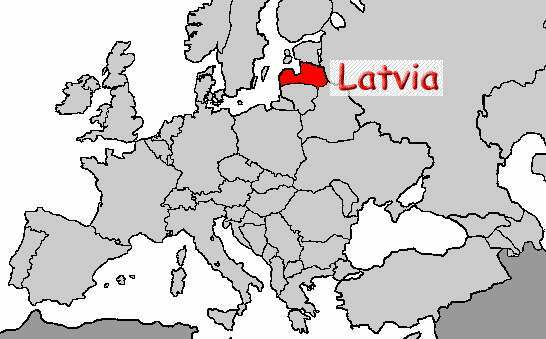 Latvia’s correspondent (offshore) banking sector that attracts and processes capital flight. Already a site for illicit transfer of Soviet oil and metals to world markets before independence, Latvia became a major destination for oligarch hot money. The Latvian port of Ventspils was an export terminal for Russian oil, providing foreign exchange that was a Soviet and later Russian embezzler’s dream. Figures such as the notorious Grigory Loutchansky of Latvia and his Nordex became notorious for money laundering. Even Americans were involved, such as Loutchansky’s partner, Marc Rich (later pardoned by Bill Clinton) who later took over the Nordex operation. The Latvian government signaled its intentions to defend this offshore banking sector at all costs (including imposing austerity on its people) when it bailed out Latvia’s biggest offshore bank, Parex. European Commission and IMF authorities gave a massive foreign loan for Latvia that in part enabled the government to function after bailing out Parex and thus its correspondent (offshore) accounts and continued payment of above-market interest rates to “favored” (read: “well connected”) customers." Anyone who is reminded here of Cyprus is not alone. Luxembourg and Austria inside the Eurozone (in league with Switzerland, outside it) have already played appalling roles in blocking powerful transparency reforms in Europe, and it will be very worrying if -- as seems likely -- Latvia begins to work inside Europe in alliance with these obstructive, secretive players. Not only that, but Latvian Prime Minister Valdis Dombrovskis recently used that weasel word 'competitivness' to describe Latvia's policies. We have written extensively all about that, here and here. While efforts continue to tackle the offshore cancer in the global economy, it continues to metastasise.